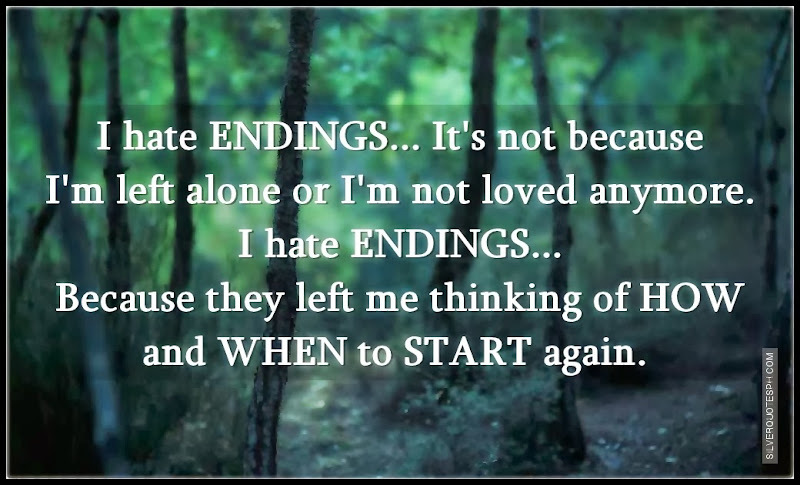 I hate ENDINGS... It's not because I'm left alone or I'm not loved anymore. I hate ENDINGS... Because they left me thinking of HOW and WHEN to START again.